Lawrence Sheldon Strulovitch (b. 1959) was born in Montreal. He grew up dreaming of owning and driving Ferraris, and decided to make that a reality by following in his father’s footsteps to become an investor. In the early 80’s, he started by investing in Pierre Cardin and soon introduced their kid’s wear line to the Canadian market. After this success, he did the same with Polo Ralph Lauren in Europe before co-founding Sportswear Holdings Ltd. in 1989 and purchasing a major stake in Tommy Hilfiger. Together with his partner, Stroll is credited with making Tommy Hilfiger the iconic brand that it has become. 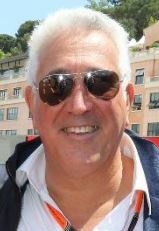 In 2003, Stroll started working with Michael Kors, similarly expanding it into the international brand that it is today. By 2012, Stroll was listed on Forbes billionaire’s list, and is currently among the wealthiest Canadians. His dream fulfilled, Stroll has some 25 Ferraris in his collection, and owns the Ferrari dealership in Quebec, as well as the Mont-Tremblant racing circuit. 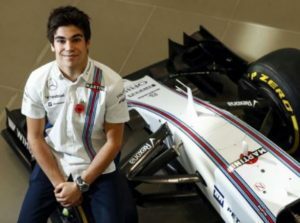 Stroll also introduced his son, Lance Stroll (b. 1998) to the Ferrari world. By age 11, Lance had won a handful of go-karting championships, was voted Rookie of the Year and Driver of the Year, and was signed by Ferrari to its Driver Academy – the youngest person to enter the program in its history. Earlier this year, he made his professional debut in Daytona. Yesterday, it was announced that Lance will join the Williams Martini Formula One team. At 18 years old, this makes him the youngest Formula One driver in the world. This entry was posted in Business & Finance, World of Sport and tagged Canadian Jews, Daytona, Driver of the Year, Ferrari, Ferrari Driver Academy, Formula One, Investors, Michael Kors, Montreal, Pierre Cardin, Quebec, Rookie of the Year, Tommy Hilfiger, Williams Martini on November 4, 2016 by Jew of the Week.